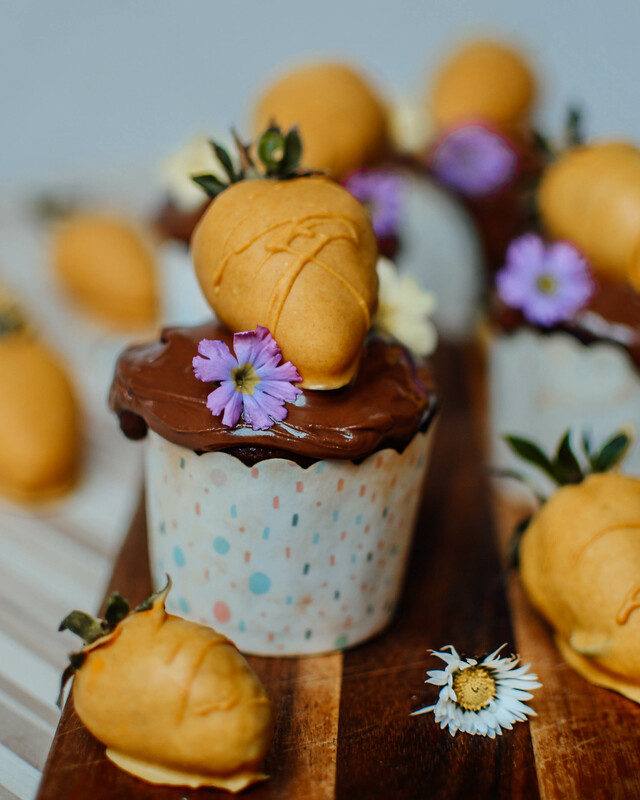 The cutest Easter garden cupcakes you will see this spring! 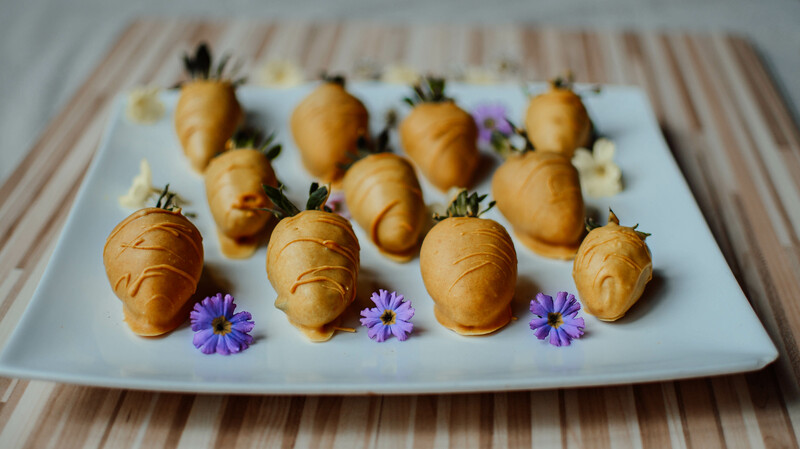 The highlight is definitely the turmeric white chocolate dipped strawberry that looks like a carrot on top of the Easter garden cupcakes. 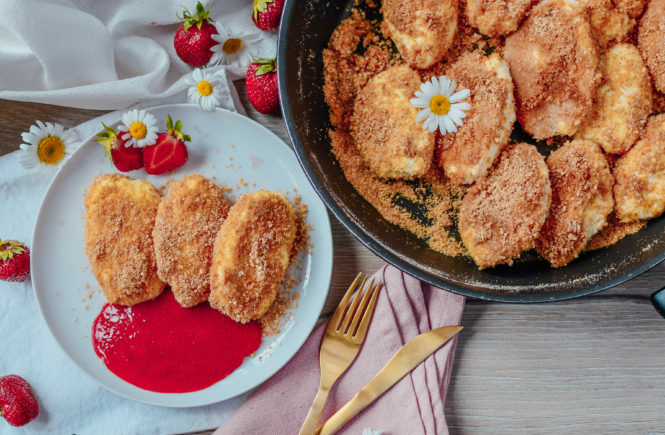 I tried to make this recipe as fitness approved as possible and expect some white chocolate that you will need to dip the strawberries in there is really nothing unhealthy about the delicious treats. So get ready for a guilt free Easter snack this year. 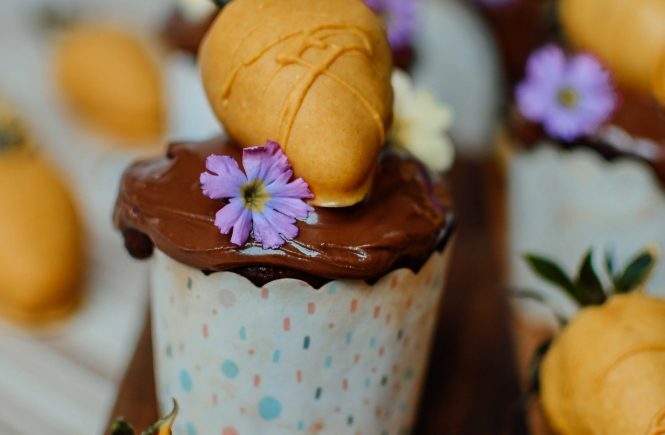 Ready to make your own healthy Easter garden cupcakes? Let’s start off by making the strawberries look like carrots. Since I didn’t want to use artificial food coloring I simply used turmeric powder to get a nice orange carrot color. Melt the white chocolate with a teaspoon of coconut oil and mix in another teaspoon of turmeric powder. Now simply dip the strawberries in the chocolate and place them on a cold plate and put them into the freezer for a couple minutes. The fitness cupcakes don’t contain any of the usual unhealthy ingredients like sugar, butter or four. I substituted the regular sugar for Xylit, the flour for coconut four and protein powder and the butter for organic coconut oil. 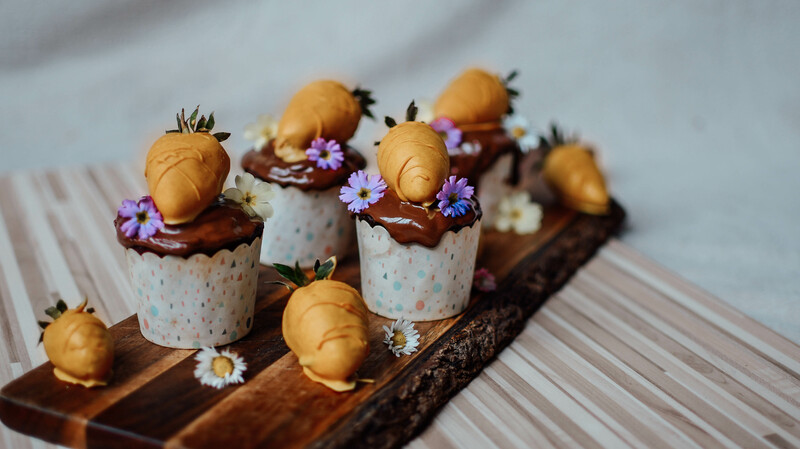 The last things you need are 100ml of milk, some baking powder and cacao powder to give the cupcake the nice brown earth color. Simply mix everything together and bake at 180 degrees for about 20 min. Don’t fill your cupcake molds up all the way as the dough will rise quite a bit! Once the cupcakes are baked make sure the let them cool off completely before going onto the next step. Once you have your three parts we can start building the perfect Easter muffin. Spread the chocolate icing over the muffin and carefully place the dipped carrot strawberry over it. 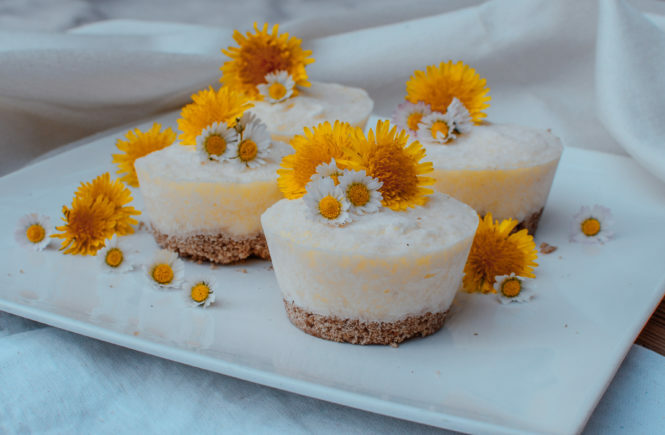 Now you can decorate the cupcake with a couple small flowers. It will make them look even prettier. A guilt free Easter treat! Start by making the strawberries. Simply melt the white chocolate with the Kurkuma and 1 tsp of coconut oil. Dip the strawberries in the Kurkuma chocolate and put them into the freezer for 10 minutes. Now let's make the cupcakes. Mix all the other ingredients together and bake at 180 degrees for about half an hour. Let cool off completely before moving on. Last but not least put the protein spread or Nutella over the cupcake and place the strawberry on top of it. Decorate with some nice little spring flowers. 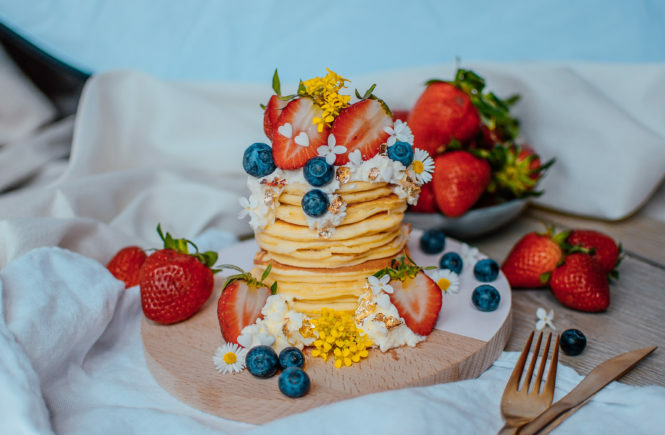 Make sure the strawberries are really cold before touching them and also the cupcakes should not be warm before placing the strawberry on top of it. Otherwise the chocolate will melt! 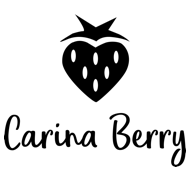 If you are looking for more yummy recipes check out my protein mugcake for Mother’s Day or the vegan cranberry bagels that are super easy to make!